Earlier today, Netflix officially announced that Stranger Things will be returning to the streaming service for a second season, which will premiere in 2017. The second season — which will consist of nine episodes — will take place in the fall of 1984, almost a year after the events of the first one. All of these details were revealed in a teaser trailer, which also included the titles of the upcoming episodes, but we now have more details about season two from Matt and Ross Duffer, the creators of the fan favorite series. Matt: We kinda just peeled back the curtain and revealed a tiny bit of the Upside Down. So we definitely want to explore a little bit more. There’s a lot we don’t know about the Upside Down at the end of season 1. Ross: We obviously have this gate to another dimension, which is still very much open in the town of Hawkins. And a lot of questions there in terms of, if the Monster is dead, was it a singular monster? What else could be out there? We really don’t go in there much until they go in to find Will at the end. So we’ve opened up this doorway, and to us it’s exciting to talk about, like, what else is behind there? There’s a lot more mystery there to be solved. What do you guys think? 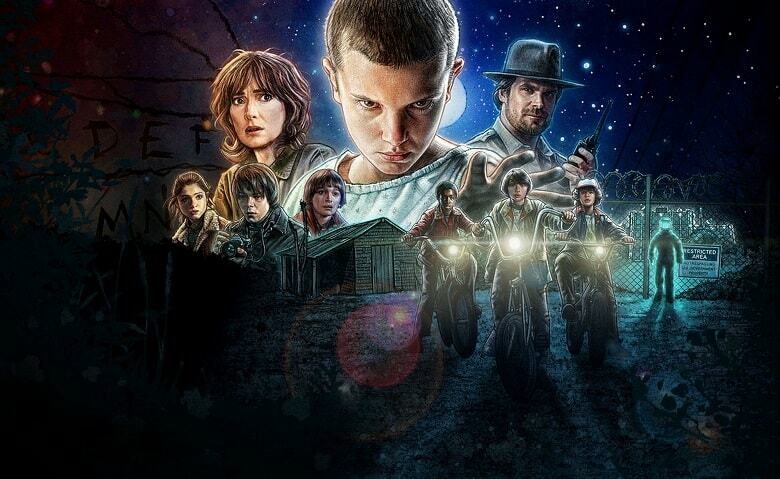 Are you looking forward to the second season of Stranger Things? Be sure to sound-off your thoughts in the comment section down below. In before Heroichollywood makes a list of casting pics for character and casts the one black character with Idris Elba. The second season will be very grand in scale and scope like Aliens, Temple of Doom and Terminator 2… I am here for it.